We specialize in making homes more energy efficient, better comfort level and cheaper utility bills. Locally owned & operated since 1964, we bring decades of expertise. We offer insulation services for both residential & commercial buildings. We offer free estimates on all of our services. Rowe Insulating Company, Inc. has been serving home and business owners in northeast Georgia since 1964. 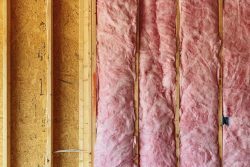 We specialize in a full range of insulation services. Our team is the area’s go-to source to raise comfort levels, increase energy efficiency and reduce utility bills. Rowe Insulating Company, Inc. is dedicated to customer service. When we leave your home or office, we want to ensure you are completely satisfied. This commitment has made us a leader of insulation in Madison County, GA. Our customers know they’ll receive quality work that our team will always stand behind. This service encompasses multiple types of insulation including cellulose, fiberglass batt, blown fiberglass and spray foam as well as encapsulating crawl spaces. Our capable, professional team also installs Styrofoam board on knee walls for attics and further specializes in air-sealing attics and crawl spaces. We will also remove old or damaged insulation. As the premier insulation contractor in Madison County, GA, we strive to provide the highest quality work, every time. We offer a fully equipped team that is ready to assist with the insulation of your home or business. Our long list of satisfied customers includes both residential and commercial settings. We are proud members of the Athens Area Home Builders Association and the Northeast Georgia Homebuilders Association. Our industry affiliations help our team remain up-to-date on the latest techniques and technology in insulation. The quality that comes backed by these associations is just one of the many benefits enjoyed by our customers. See for yourself today! Let Rowe Insulating Company, Inc. provide superior insulation service that transforms your surroundings in no time. Contact us today for top-tier service from experienced pros. "Mr. Rowe got back to me right away, showed up when he said he would, sized things up expertly while explaining what he was doing in a cordia..."
"Rowe Insulation has an extremely professional staff. They were quick to come and give a quote and started the job as soon as we requested. A..."
"Great job, excellent communication at all levels: owner, office, and crew. Kevin Rowe provided professional and timely work, carefully tailo..."
"Kevin Rowe came out several weeks ago to give us an estimate regarding adding cellulose insulation to our attic as well as repairing the ins..."
"The Rowe people did a fantastic job!.......very satisfied!! They were extremely careful about avoiding any possibility of damaging anything ..."